Welcome to the end of the semester! We have expanded hours beginning Saturday as well as activities all around campus in conjunction with CAPS and Student Development. 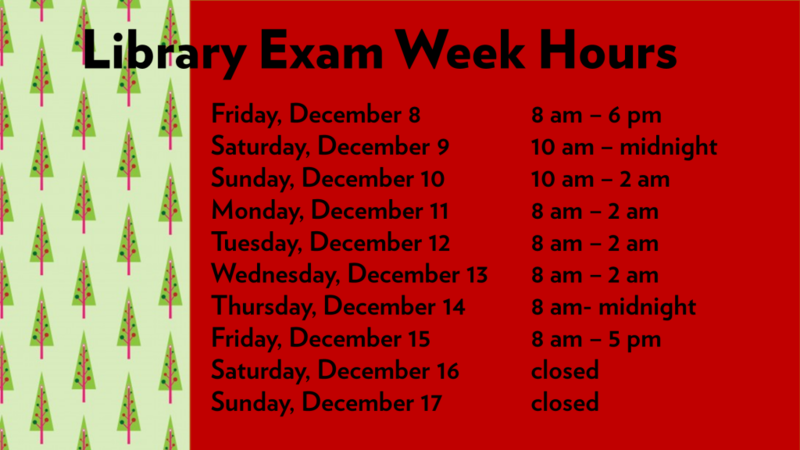 There might be #HopeForFinalsWeek after all! 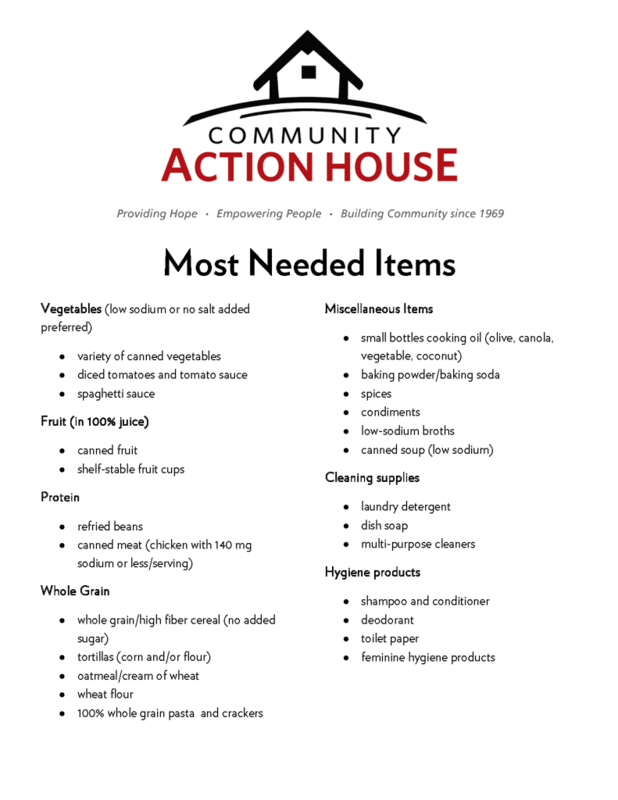 Donations for Community Action House Accepted at the Library! 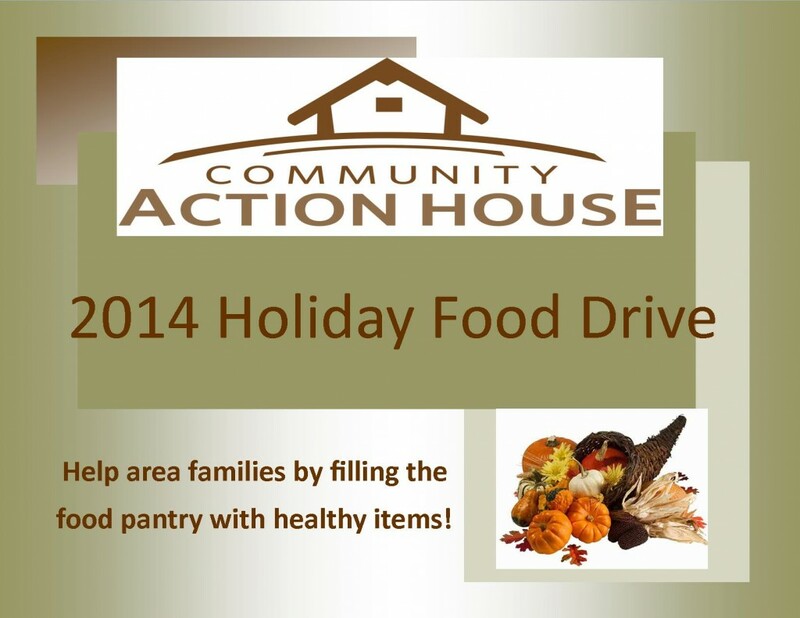 The Library is pleased to partner with Community Action House again to fill their shelves for the holidays! 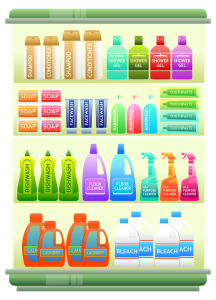 In addition to canned goods and other non-perishable food items, hygiene and cleaning supplies are especially needed. 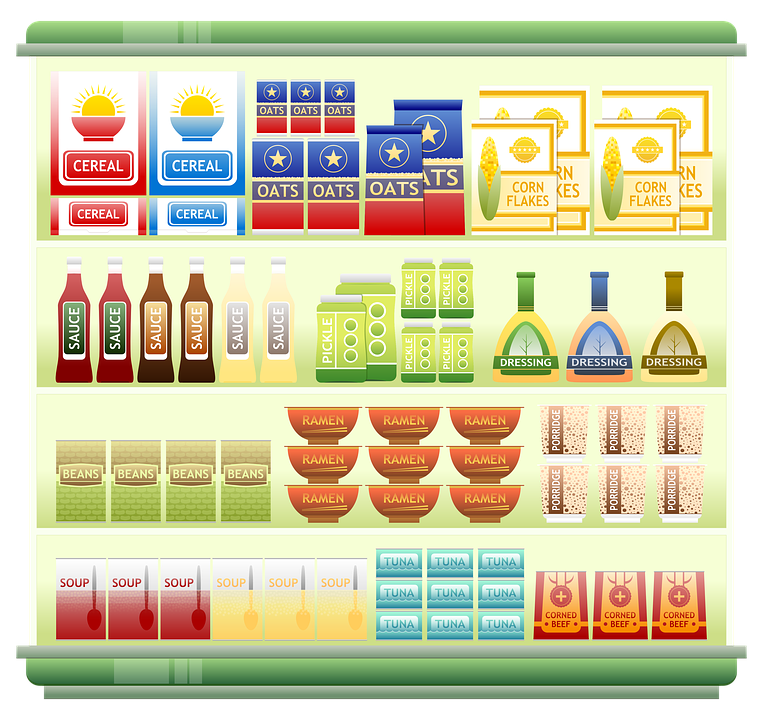 Food stamps cannot be used for these high-demand items. Items can be brought to the display on the first floor of the library through December 15. Posted on November 28, 2017 December 11, 2017 Author Michelle YostCategories EventsLeave a comment on Donations for Community Action House Accepted at the Library! 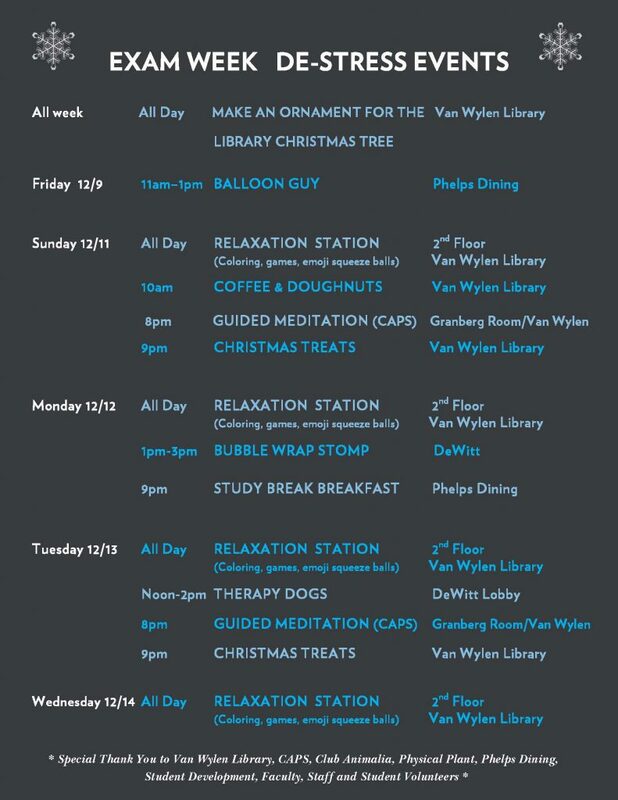 There’s only one thing between you and Christmas Break and we’re here to help with some fun activities here at the Library and around campus. 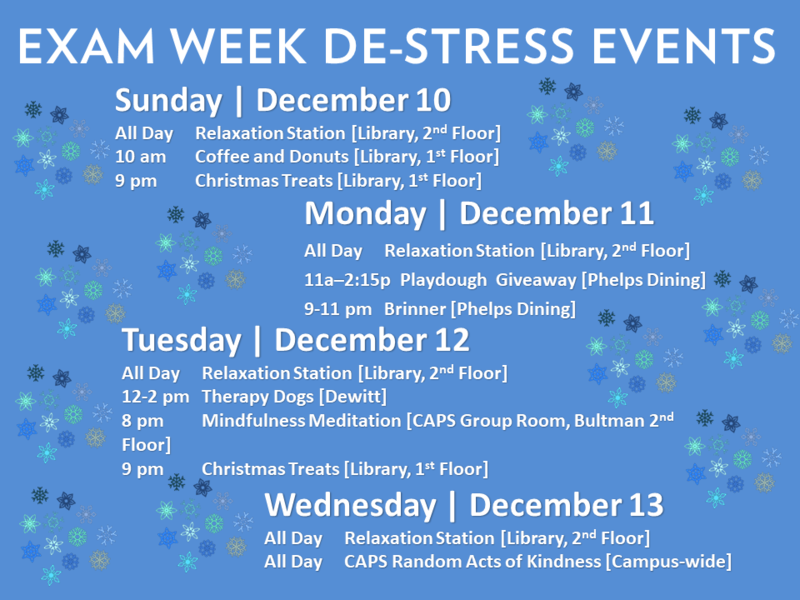 There’s #HopeForFinalsWeek after all! For a number of years, the Library has collected donations of food and personal care items benefiting Community Action House. Please consider grabbing a few extra items below next time you go to the grocery store. The donations are very appreciated by CAH and are used for families in our own community. 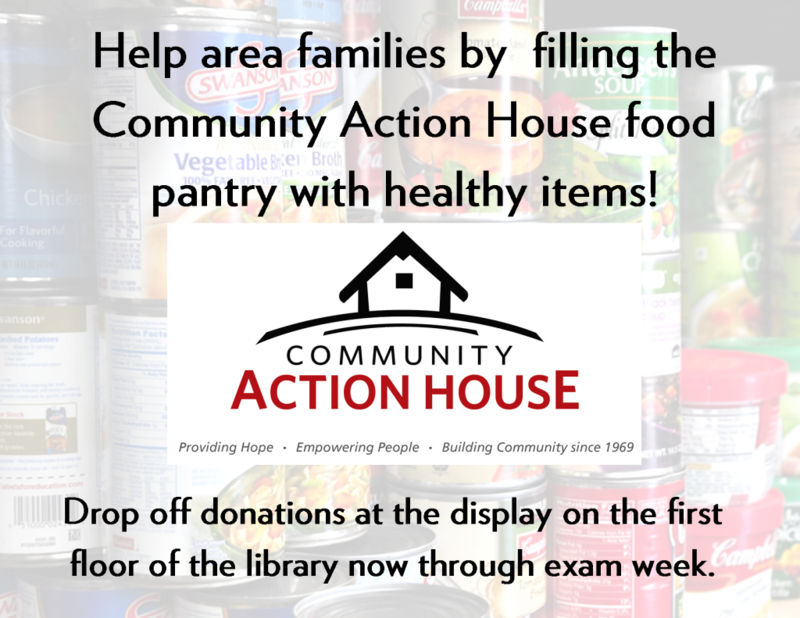 Donations will be collected through exam week at the display on the first floor of the Library. To Kill a Mockingbird Giveaway! Win a free paperback copy of To Kill a Mockingbird by Harper Lee! 10 winners will be drawn on Friday, October 24. To be eligible, you must DESIGN a mockingbird using the template provided. Copies of the mockingbird template can be found at the CIRCULATION desk, RESEARCH HELP desk, and the MEDIATECH desk. Place your completed mockingbird design(s) in the box at the CIRCULATION desk (legibly signed with your name). You can design MULTIPLE mockingbirds, but you will be eligible for only 1 book. Winners will be randomly drawn from the box of entries. By submitting your design, you are giving Van Wylen permission to display them during the month of this year’s Big Read. Posted on October 13, 2014 November 24, 2015 Author Blogs AdministratorCategories EventsTags Big Read, Giveaway, TKaM, To Kill a MockingbirdLeave a comment on To Kill a Mockingbird Giveaway! 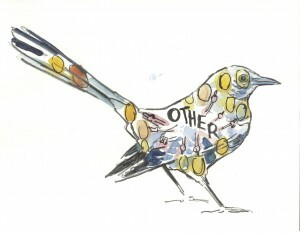 We – the privileged fraction of humanity with enough access to the very basic things (like food, water, and shelter) to allow us both leisure and capital – often take the structures and workings of the numerous intersecting information ecologies in which we participate for granted. Hope College’s 2014 Critical Issues Symposium, being devoted to exploration of “technology” and its cybernetic relationship with, ultimately, some general notion of “humanness,” seems like an ideal opportunity to reflect on libraries’ and information technologies’ role within this context. It may seem too obvious to point out that this topic is immensely complex. I do so, however, to provide a basic rationale for focusing on just a single, interesting problem that came up during Gloria Mark’s engaging address on 9/24. At its barest, the goal in this short essay is to begin teasing apart the paradoxical problem of analogic digitalization. I, like many perhaps (or at least, many within the “privileged fraction”), like to speculate on the eventual changes we are wringing on ourselves by our increasingly “data-driven” culture. Like Prof. Mark, I think certain changes in human communication patterns already demonstrate the decisively clear influence of, for example, even archaic technologies like SMS (texting); you certainly won’t need to wander far if you need proof. In her well-known essay “The Cyborg Manifesto,” Donna Haraway also discussed the reciprocal nature of tech-human interaction. Her focus was on the transformative nature of our technologies to alter both our bodies and our ideas about them, and even their contexts¹. It is not difficult to make the leap from machine-organism interaction to code-organism interaction, both occurring, ultimately, on the border between humans and the dehumanizing technologies we create to make life “better.” Analogically similar they are; in terms of effect, however, the stakes are interestingly different. 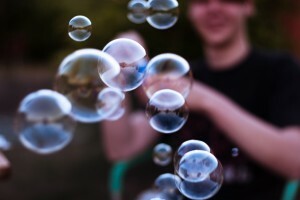 Prof. Mark noted that certain complex human phenomena – like conversation – digitize poorly. This is to say that information, when carried over from an analogical, organic process into the digital world, is inevitably lost. MP3s, convenient as they are, can suffer from a lack of tonal depth for this very reason. I completely agree that this is worth talking about. However, this forces us to confront certain assumptions as well, a few of which are fundamental to the work she discussed, and which could appear paradoxical. How exactly does one appropriately convert human emotion (or some other subjectively-experienced phenomenon) to something digitally manipulable? With that in mind, if even a human practice such as conversation is impoverished in its reduction to the digital, then what can we predict about how digital models of human responses are also impoverished? How can such a study differentiate between so-called eustress (“good” stress) and the negative sort? With respect to email and emotion, why did the responses appear to vary when mobile and traditional platforms were used to access it? These questions center on what it means to be a digitally-augmented human, and though they almost certainly differ in at least some (and likely several) ways from your own reactions, I hope they’ll provoke you to keep thinking about the sessions you attended yesterday, and what you yourself found most engaging. That is, after all, the purpose of the CIS in the first place, right? ¹It is worth pointing out that Haraway goes well beyond tech-human symbiosis, centering her discussion on the ways our “cyborginess” affects readings of gender and nonconforming human bodies. The Jack Ridl Visiting Writers Series of Hope College begins this year with two Hope grads. Katherine Bode-Lang is the author of The Reformation, a recent winner of the 2014 American Review/Honickman First Book Prize. Laura Donnelly published her first book of poetry in 2013, entitled Watershed, which won the 2013 Cider Press Review Editors Prize. The library will have copies of their books available, along with the other visiting writers.